Tired of eating leftover Easter eggs, lamb and ham? 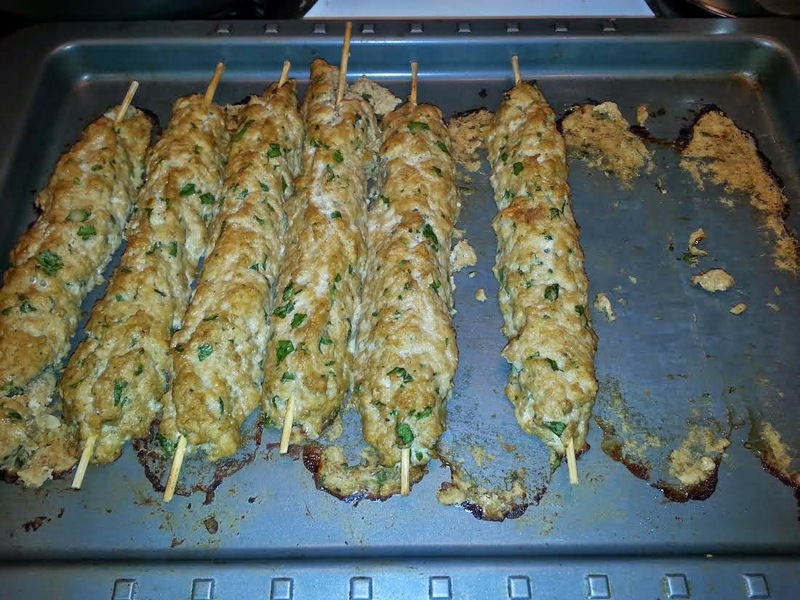 I turn your attention to … Ground Chicken Lule Kebab! 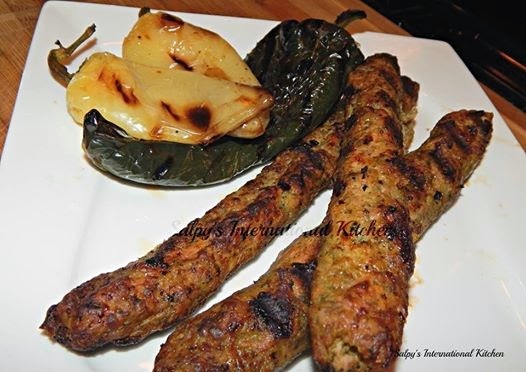 Lule kebab can be made with any type of ground meat or poultry. Just know that ground chicken or turkey will need some type of fat in the recipe to keep it from becoming too dry - such as adding an egg or 2 (depending on how much ground meat you'll be using) – or - by adding a little oil (a few Tbsp. of olive or vegetable oil) to the meat mixture to prevent drying out. 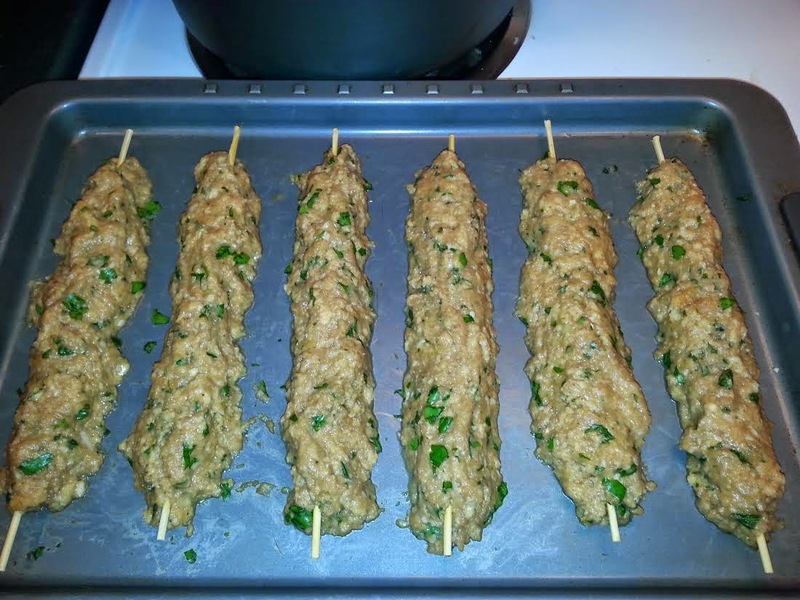 The ground meat mixture can be shaped onto a shish and grilled or baked in an oven. I was pleased to have received an update with photos from the reader’s experiment. “I made the kebobs using ground turkey. I only made a half batch but used a whole egg, so I figured that would give the extra moisture needed. I also just used tomato sauce and no tomato paste. The mixture was very wet so I had to add a lot more bread crumbs to soak it up. I let it sit in the refrigerator a while to try and soak up more of the moisture. Even with nearly doubling the bread crumbs it was still too wet to make into a kebob, so I formed them into the kebob shape on a baking sheet and smushed the wooden kebob into them, then baked them until they firmed up enough to transfer them to the grill. They were quite good! It wasn't the same as what I had in Gyumri, but it's been so long now, I think I need to go back and have them again! 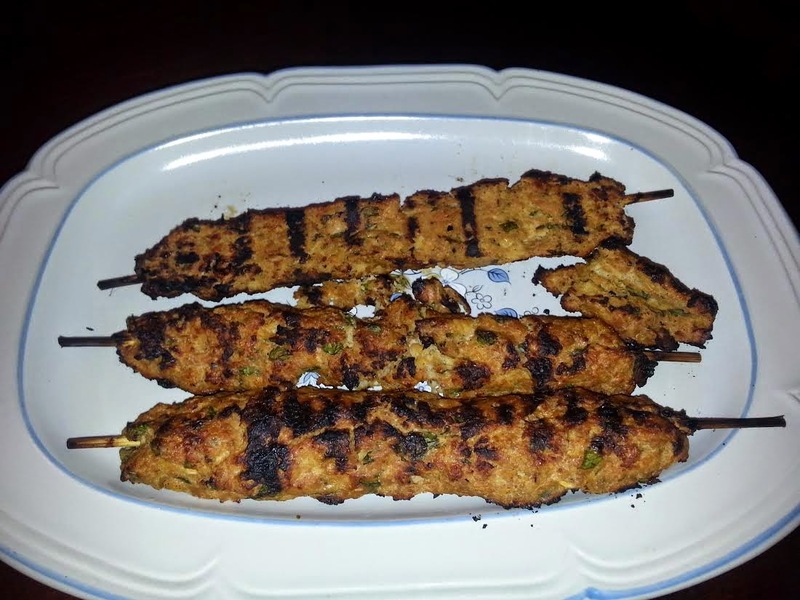 Upon hearing the difficulty the reader encountered, I offered another chicken lule kebab recipe that a FB buddy of mine posted on her page, Salpy’s International Kitchen. 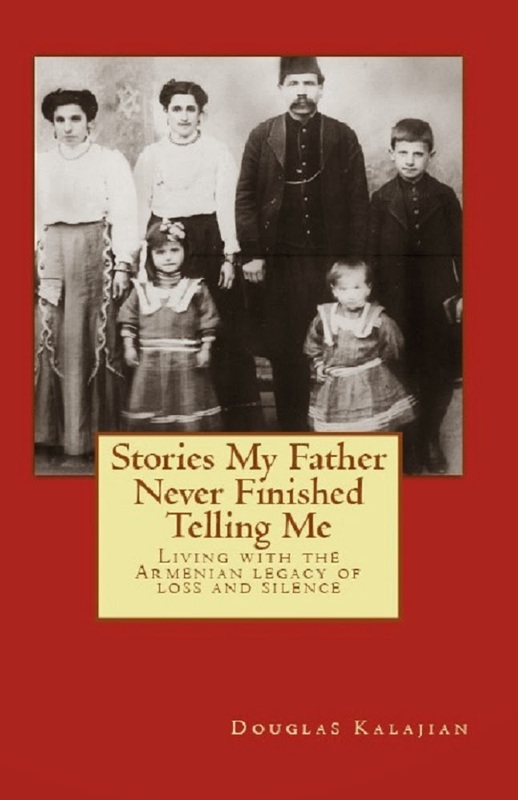 The reader is excited to try this next recipe, hoping it will emulate the lule kebab from Gyumri. 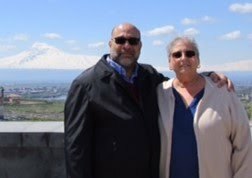 I think the problem with Father Joulfayan's recipe is the use of tomato sauce. Maybe that works with ground lamb or beef meat, which is fattier and would stick together more, but definitely not with ground chicken, even with the addition of oil. I suspect that if you used his recipe, substituting maybe 2 additional tablespoons of tomato paste for the tomato sauce and adding some vegetable oil, it would come out fine (maybe also cut out the lemon juice or replace it with sour salt). Your sensible recipe suggestions have been noted; thanks, Ara. 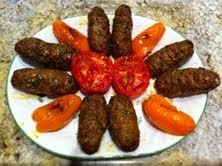 I've made Father Vartan's lule kebab recipe using ground turkey (93%-7% ratio), and that's worked out well. Sometimes making certain recipes require a bit of trial-and-error.